People love the large size at 2240 sq & that you can walk blocks to Lake Union and enjoy vibrant sunsets over the Olympics from the living room. With two huge open spaces, this is arguably the best place in the city to enjoy both the 4th of July and New Year's Eve fireworks. Features include luxury Viking appliances, rock solid walnut stair treads, custom metal work and millwork, in-floor radiant heat in bathrooms, AC, tons of natural light, extra rec room with a private entrance and kitchenette for rental options. 750 sq ft roof deck has gas for a grill, hot & cold water, raised pots and some of the best views in the city. Copyright © 2019 Real Estate, All rights reserved. Click Here to Enjoy a Video of 2616 B Eastlake Ave E! People love the large size at 2240 sq with 3 bedrooms, 2.5 baths with an amazing bonus room. 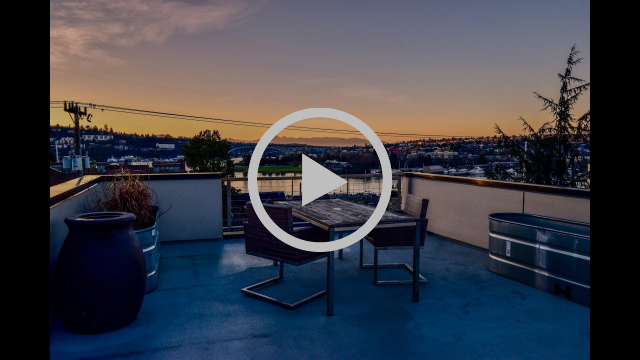 You can walk blocks to Lake Union and enjoy vibrant sunsets over the Olympics from the living room. With two huge open spaces, this is arguably the best place in the city to enjoy both the 4th of July and New Year's Eve fireworks. Rental space, bonus room or 4th bedroom. MUST SEE! www.BenMortonRealEstate.com. Awesome Inc. theme. Powered by Blogger.